Crop tops are this summer’s hottest hit. They are becoming more and more popular and can be worn with anything. 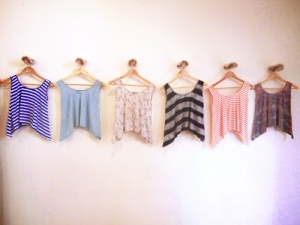 Here are this summer’s hottest crop tops for under $25! 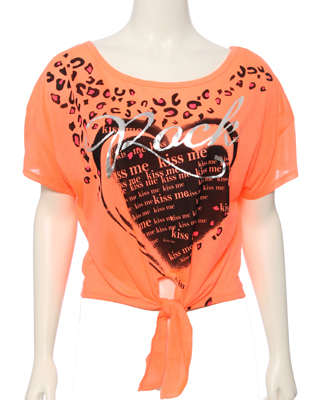 This neon cropped tee is great for the summer. The bright color is very eye-catching. Crochet is this summer’s latest trend; combined with a cropped style, this solid colored shirt is anything but basic. It’s an oversized tee, so you can dress it up with a skirt or dress it down with shorts. This is a great, loose-fitting tank. It works nicely with high-waisted pants or skirts, or as a beach cover up. It comes in 21 colors, so you can find one to match anything. Rock this neon crop shirt with yoga pants. It’s very soft and lightweight, so you can step up your workout. Fringe is very “in” this season. You can wear it for a night out or a day at the mall. Wear any of these cropped shirts to look like a million dollars. No one has to know they were all under $25!